The 18 Faroe Islands are located in the North Atlantic and boast 1,289 coastline in total. The ocean is never more than 4 kilometres away from any point of the islands. 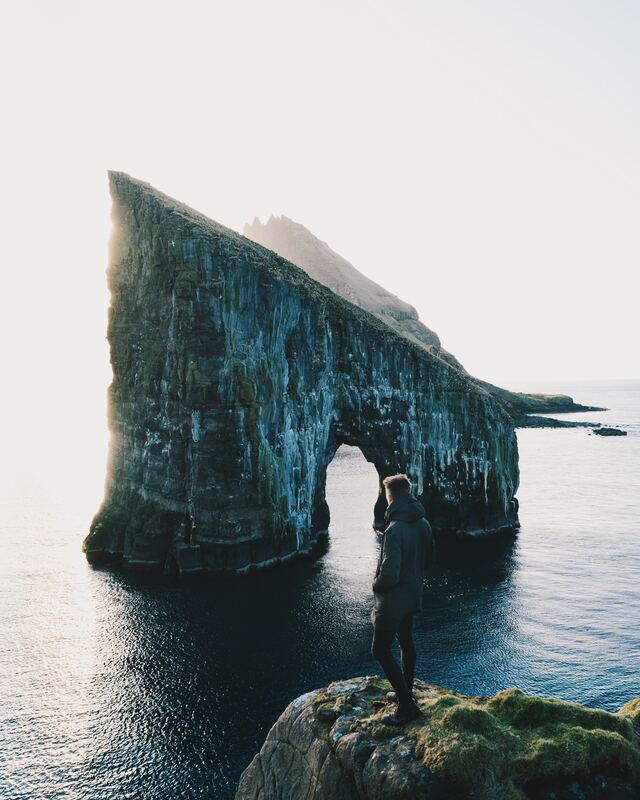 Despite their small geographic region, visitors to the Faroe Islands experience a wide variety and great contrasts between the different regions. With their dramatic landscapes, the wild ocean and the calm and peace of the mountains, combined with the local culture with their own ancient language and a unique architectural heritage, the Faroe Islands are among the most attractive island destinations of the world. Be one of the first to discover this unique place! We meet our bus and guide at the airport and begin our journey on the Faroe Islands with a tour of Vágar, where we just landed. Here at the west coast we can see the island Mykines with its characteristic mountain tops. The small charming villages invite you to visit local craftsmen. 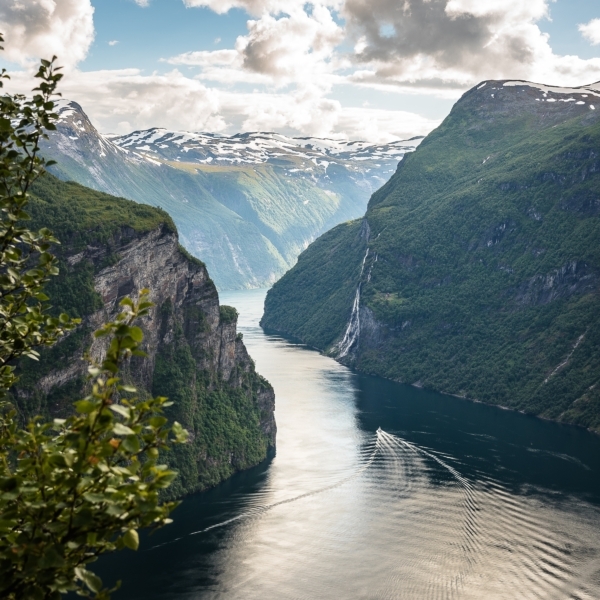 In nice weather we will drive over the beautiful mountain pass and enjoy a stunning view over all the mountains and valleys, waterfalls and lakes. We continue to Tórshavn, where we check into our hotel. Overnight in hotel in Tórshavn. After a hearty breakfast we start the day with a guided tour through Tórshavn. We visit the old town Tinganes, where the first Vikings lived, and see the beautiful town with its harbour and the grass-topped houses while we hear all about Tórshavn’s history. After lunch (not included) we go to Kirkjubøur by bus. Here used to be the bishop’s seat and we can still see the ruins of Magnus’ cathedral and the small Olav’s church from medieval times. Also we see the old royal residence, which is said to be the world’s oldest inhabited wooden house and now houses the seventeenth generation. Today we will visit Esturoy. We start driving north over the island Streymoy with many opportunities for photo stops and breaks along the road. We drive across the bridge to Eysturoy and along its west coast to Eiði and the highest mountain of the Faroe Islands, Slættaratindur, which extends 882 meter over sea level. The tour continues towards Gjógv, which is known for its unique natural harbour. From here we can see the famous rock formation in the sea. One of these is Búgvin, with 188 metres the tallest freestanding cliff block. We go on to Funningur. In Fuglafjord we visit the local tourist office to see art and craft from the Faroe Islands. In the afternoon we have time to visit Gøta, before we return to Tórshavn and our hotel. After breakfast we meet our local guide again and start on an unforgettable tour. First we go to Vestmanna, where we embark on a small passenger boat, which takes us on a two-hour tour along the Vestmanna cliffs. In the summer months it is possible to see puffins, and even at other times of the year the cliffs are rich with birdlife. After the boat tour we recommend to taste the fantastic fish soup (optional) or to visit a small museum about the history of the Faroes (optional). Return to the airport and depart the Faroe Island with unforgettable memories.